Organic Sales: More than 50% of total store sales are organic. Board member Byron Greatorex contacts manufacturers of all products sold in the store to request a statement that their products are GMO-free. If manufacturers cannot provide a statement, their products are removed. Exceptions may be made for local and small producers. The co-op asks manufacturers who cannot verify that their products are GMO-free to use GMO-free ingredients and, whenever possible, to substitute organic ingredients. Products are discontinued if the manufacturer doesn't respond. 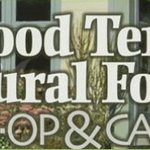 The co-op prioritizes local and organic foods and will work with local suppliers to attain GMO-free status. The co-op labels conditionally accepted products that may contain GMOs. The co-op is a Non-GMO Project Participating Retailer. Customers are notified of products that may contain GMOs via shelf signage, website/facebook postings and/or access to folders documenting manufacturers' foods that may contain GMOs. This is a work in progress especially as we bring to completion our months long interior reset project. Once we have all of our new shelving in place we will be labeling products with NON-GMO Project Verification labels and removing products containing GMO’s. Our goal is to be as GMO-free as possible. We are in the process of gathering statements from manufacturer’s to verify their GMO policies. There are numerous NON-GMO verfified alternatives to perhaps better known brands containing GMO’s. Also, we are blessed to have many established and up and coming organic farms in Maine. We source many products from cheese, yogurt, raw milk, kefir, eggs, chicken, beef, pork, kombucha, and more from Maine food producers. And our produce department is virtually all organic. Some of our local farms use sustainable, organic growing practices but are not “certified”. When certified most of our Maine producers are certified through MOFGA (Maine Organic Farmer’s & Gardener’s Association. GO MAINE!!! Thanks for your update Kevin, great job and please feel free to contact OCA if there is any assistance we can provide!